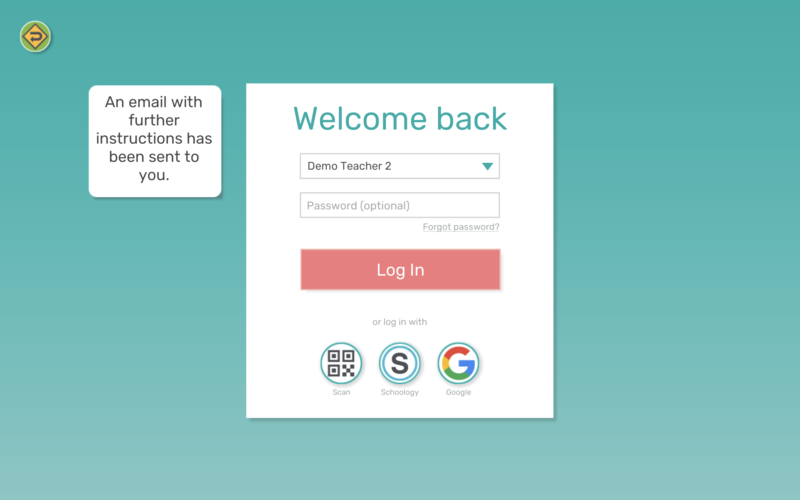 If your students (or you), forget their Makers Empire log in details you can help them recover their details and log in. 1. 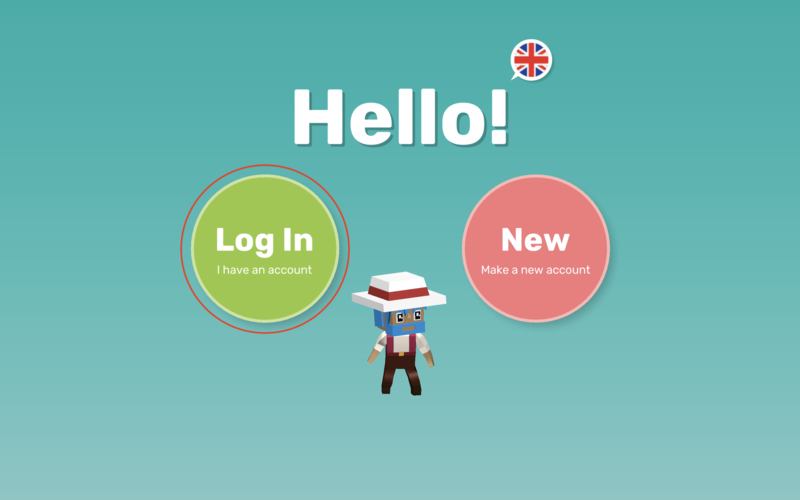 Open the Makers Empire 3D app and click the green Log In button. 2. Click "Forgot password?" below the Password field. 3. 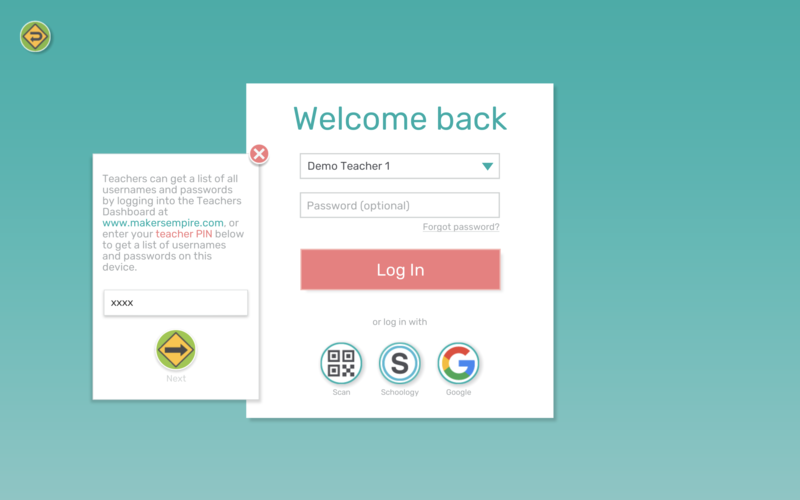 Enter your teacher PIN and click the Next button. 4. You will be prompted to choose a file name and location on your device where you'd like to save the list to. * NOTE: For security reasons, you will only be able to see usernames and passwords for accounts which were originally created on that device. 2. Enter your username and click "Forgot password?" 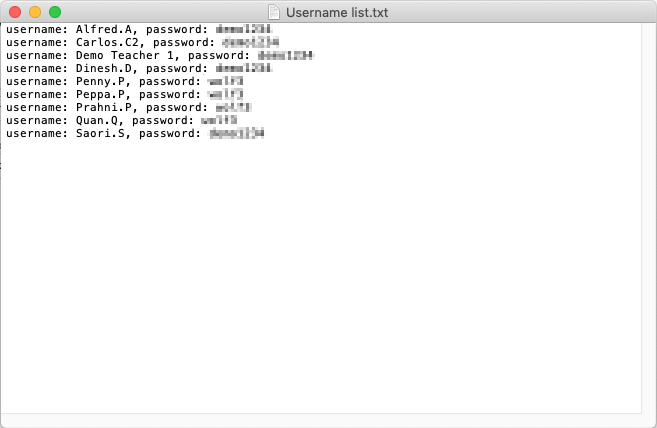 below the Password field. 3. 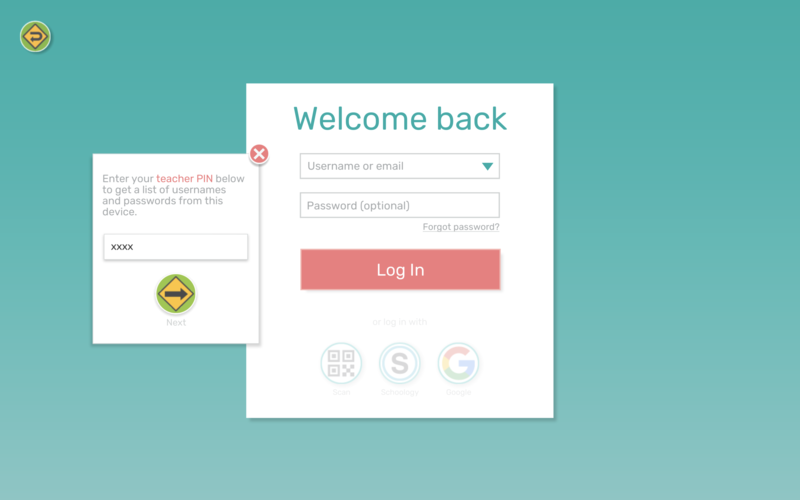 If the username you entered in step 2. is not associated with an email address on our system, you will see a pop up which explains that you can download a list of all your class' usernames and passwords via the Teachers Dashboard, or you can enter your Teacher PIN to get a list of the usernames and passwords for accounts which were originally created on that device only. 4. 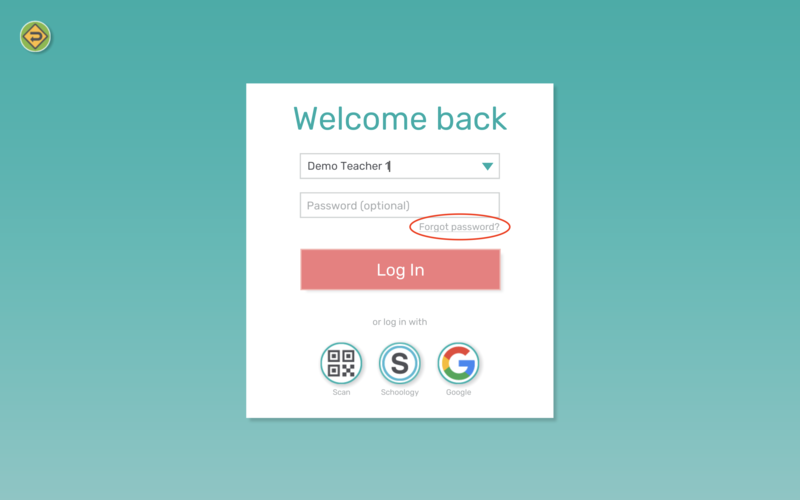 If you choose to enter your Teacher PIN, you will then be prompted to choose a file name and location on your device where you'd like to save the list to. 3. If the username you enter in step 2. is associated with an email address on our system, you will be notified that "An email with further instructions has been sent to you." * NOTE: This email can be a student's own email address, or their teacher's email address. Users can assign an email address in Profile tab > Settings > Account. 4. 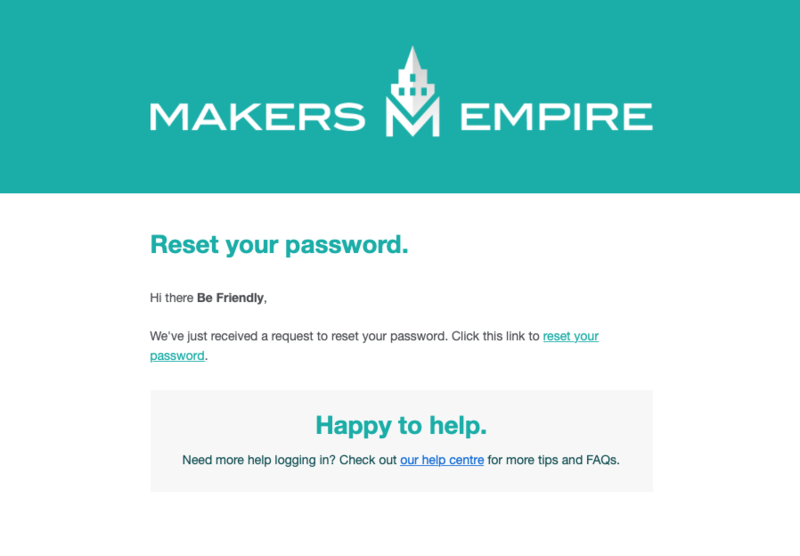 Check your inbox for an email from us, subject "Reset Your Password", and click the Reset Your Password link. 5. Enter a new password, repeat the password to verify it, then click the pink Change Password button.